A series of explosions tore through an open-air market in the capital of the volatile western Chinese region of Xinjiang on Thursday, killing dozens of people and wounding many more, state media reported. China‘s Ministry of Public Security said the attack in the heavily policed city of Urumqi was “a serious violent terrorist incident” and vowed to crack down on its perpetrators. President Xi Jinping called for the terrorists behind it to be “severely” punished. 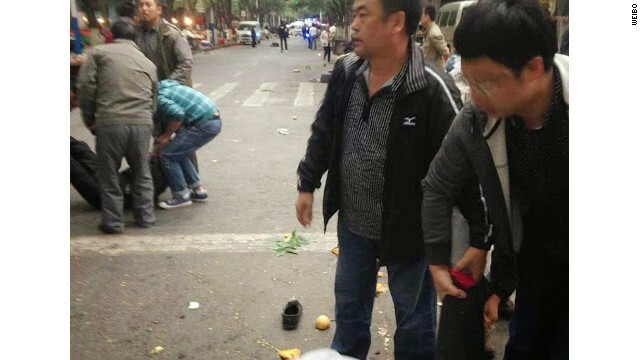 Two SUVs slammed into shoppers gathered at the market in Urumqi at 7:50 a.m. Thursday, and explosives were flung out of the vehicles, China’s official news agency Xinhua said. via Terrorist attack kills dozens in China’s tense Xinjiang region – CNN.com.